"Japanese-English and English-Japanese Dictionary," A.D.F. 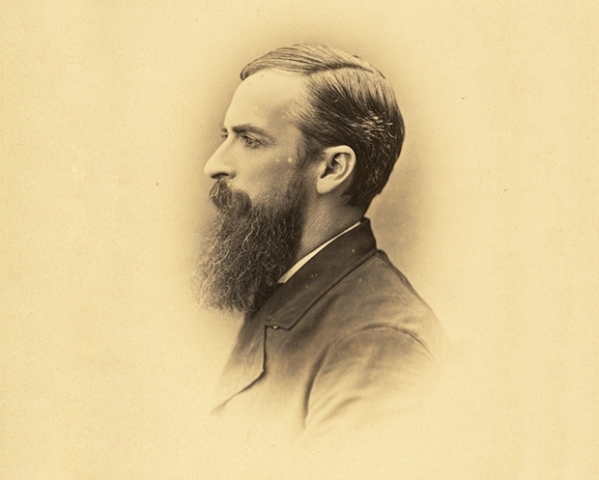 Randolph & Co., 1873. 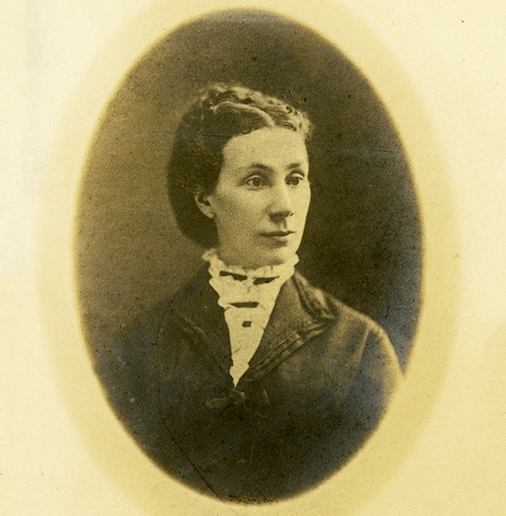 Mary Parke Thompson and her husband David Thompson served as missionaries to Japan for over five decades. In this third excerpt from Mary’s diaries, beginning after she had been in Japan approximately three weeks and just met her future husband, she describes her frustrations with learning Japanese—a problem that faces many new missionaries but was especially vexing for a woman in 1870s Japan. May 12 [1873, Yedo, now Tokyo]: By chance, I might say, I secured a Japanese teacher today. God is very mindful of my wants. Though so apparently helpless he can always provide, and even put into my hands the means of supplying my wants….Studying the many Japanese characters. I wonder if I will ever be familiar with them. May 16: Very busy, wholly absorbed these…last few days. My teacher came to teach me for the first time on Wed.14. I think he will do well, and am so glad about it. 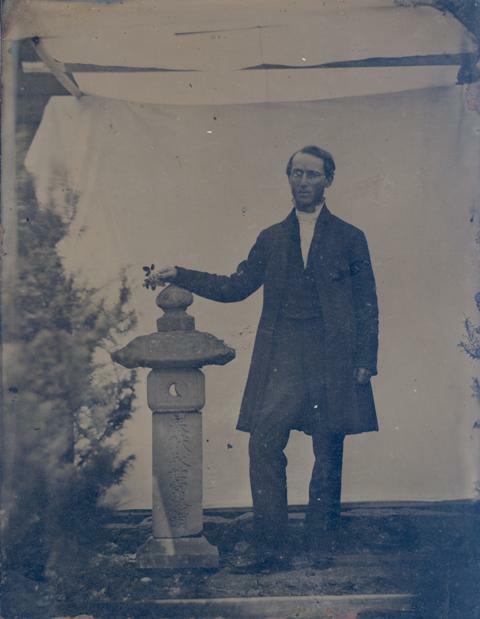 May 19: Mr. Miller came up from Yokohama and there has been a missionary meeting of the men this morning. My boy came at the time appointed and I taught him, or rather, gave him lessons for tomorrow. Have concluded to begin with him in Matthew. May 20: Digging away at Japanese! A pleasant walk with Mr. [David] Thompson before tea….Mr. Thompson has much of the meekness and gentleness of Christ. He lives not for himself at all. It is impossible not to trust him. May 22: I am pleased with my Japanese scholar. I pray for him that the good seed of the Word may be watered and grow. May 23: This evening Mr. Carrothers was away and Mrs. Carrothers was sick. I sat down to dinner alone. I have been feeling some-what alone too. The sound of the waves is in my ears. This is a little inlet of the wide world of water that separates me from loving hearts at home. And yet, this is my chosen life. At the dear Master’s side I need never feel alone. O that he would hold me up in his arms, that he would hide me from temptation, or so fill me with grace that I shall not descend to vanity and sin!....Few missionaries have as smoothe [sic] and flowery a path as mine promises to be. Mon 26: Every-thing has gone well today. I was so much pleased with my Japanese boy this morning. Then before his lessons were over I received letters from home bringing only good news, and making me very glad by the kind thoughts and prayers in them…This after-noon my Japanese teacher very complimentary. I long to be able to speak with these people. May 31: My teacher came this morning.—A pleasant time with my scholar….I look at so many words, but remember so few. June 2: Mr. Chimora [language teacher] did not come today….A gentle-man calling to find if I would teach his boy. Mr. Thompson arranged with him. June 3: Mr. Chimora sent a young man as a substitute for a few days. He cannot speak English. It was rather laughable how we got on. June 5: My young teacher insists on my teaching him English. I think I must humor him a little tomorrow. June 6: Our young teacher did not come today. I was just as pleased to study alone. A pleasant little walk with Mrs. Carrothers. After that, a walk and talk on the upper porch with Mr. Thompson. June 7: Have been trying to translate the Lord’s prayer from Japanese. Succeeded pretty well this time.—Mr. Thompson said he would teach me sometimes. I thanked him and I do thank him right heartily. June 9: More successful with my young teacher today….A little troubled with distracting thoughts today. Have prayed to be delivered. June 10: Mr. Chimora came this morning and we had a little plain conversation with him. He has taken this remarkably Japanese, round-about way [to] take his leave by sending another in his stead and pretending that he was coming back. I hope we taught him that there is a better way of doing….My thoughts are beyond the ocean tonight. No teacher now. Our young boy dismissed. June 12: Went into [Mr. Thompson’s] school and had my class assigned me. Seven or eight [students]. I hope I may be able to interest them….A pleasant time entertaining the Japanese girls [of Mrs. Carrothers’ class]. They seemed much amused with our games. They looked so sweet and pretty with their bright girdles [obi] and clean folds of silk or crepe around their necks, and were so gentle and ladylike in their manners. A long walk and talk with Mr. Thompson after dinner. All day I had felt some of the old peace coming back into my heart, but this talk has put me wholly at rest again….It is so sweet to feel near to God again, for my distracted thoughts did not give him full place these last few days….I desire to be a true sister to Mr. Thompson, and to all the missionaries here, though doubtless I shall be more disposed to go to him for sympathy and advice than to any of the others. I would not burden by the least load his already burdened spirit, but cast in his way some little ray of light rather. June 13: Tried to teach my class today. They seemed bright and interested. June 14: At the home of Mrs. Fenton this afternoon….I am not satisfied to spend so much time idly. My lesson in the little conversation book not learned. Time misspent, I fear, since I have no teacher….It seems that the only thing I can do here, unknown, and unable to speak the language, is to ask God to give me a teacher and wait. Mr. Thompson will seek for one, I know. June 15: Mr. Thompson came over after dinner and read his sermon to me. sub[ject] “Cain & Abel and their Sacrifices”. I am always much pleased with the originality and convincing correctness of his thoughts. Two Japanese men came to see him, so he could not spend the evening with us—Singing as usual. June 16: It is weary toil without any teacher in Japanese….A Japanese young man came and wanted me to teach him this morning. He said he wanted to study the Bible. I told him that I could not, but that he should go to Mr. Thompson, but he did not go. Ah! I am grieved at these foolish people….Mr. Thompson seemed so weary and sad this evening. God grant to him light and joy. He seems to me so deserving. I felt so dissatisfied with my hour of teaching today. How weakly we are when we have not the power to wield a known language. June 17: A quiet day, little to note. Studied with O Toki San [probably a female servant]. June 21: A dreary, rainy day. So tired studying this evening, or rather this after-noon that I lay down and read, and slept a while. A pleasant talk of an hour with Mr. Thompson. The present state of affairs around us discussed much to my satisfaction. I am so glad to be able to consider him my counselor.—My reading this afternoon strengthened me much. June 22: Mrs. Carrothers lame with rheumatism. I have been trying to assist her in her school and other-wise all I could. Ine’s mother brought a letter for me, asking me to teach her two little brothers. June 23: A long, long walk with Mr. Thompson this evening. Some things from the depths brought to light for a little. I hope the talk was for the strengthening of us both. June 24: Mr. Thompson came to help me in my studies. Very kind.—A walk on the verandah. I fear weakness shown. God guide us and make us strong to do what is right, only what is faithful. June 25: The steamer is five days late—will not be here until Sabbath, I suppose…The brother of Ine’s mother came to school today, but I cannot take him. He is bright and interesting. I hope he will come to Mr. Thompson’s Bible class. Another new little boy also. June 26: A walk on the verandah with Mr. Thompson.—Much absorbed in my studies this afternoon.—But when I hear them speak, I can scarcely distinguish a sentence. With what intensity I listen! June 27: Two months today since I reached Japan. How much for all the future thoughts and purposes have changed God only knows. I trust in his wise counsel. I cannot go a step alone.—I long for my letters from home which I hope this steamer will bring me. Raining again. It would be hard to exaggerate how difficult the study of Japanese must have been in 1873. Even today, with lessons on tape and courses that introduce the structure of the language systematically, the study of Japanese is a tough uphill slog. As for study material available in 1873, we know that the first Japanese-English dictionary, complied by Dr. James Hepburn , the first Presbyterian missionary to Japan, had been printed in Shanghai in 1867. Mary also mentions a “phrase book” – hardly a systematic presentation of the language. And you need a teacher to imitate and who will correct mistakes. But most Japanese were afraid to teach foreigners for fear of being hauled off to prison, as some had been. For a woman, there was the added problem that she should learn women’s Japanese, but generally speaking, only daughters of the nobility and highest classes were educated, and such women could hardly become the teacher of a foreigner. Presbyterian missionaries Christopher and Julia Carrothers.